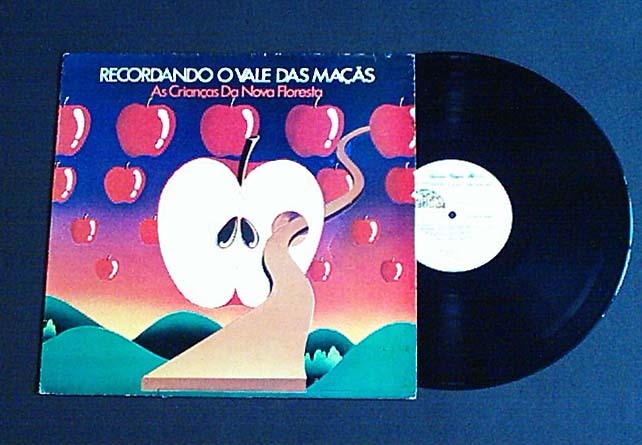 "As Crianças da Nova Floresta"
A true gem from the Brazilian Hippie & Psychedelic Music! Title: "As Crianças da Nova Floresta"
PARTE A: "A LUZ DA NATUREZA"
PARTE B: "A VISÃO DA CONSCIÊNCIA"
PARTE D: "AS CRIANÇAS DA NOVA FLORESTA"
RECORDANDO O VALE DAS MAÇÃS - "AS CRIANÇAS DA NOVA FLORESTA"
Mega Rare Brazilian Hippie Folk Rock Progressive Experimental Psychedelic Record. It's they unique album, beautiful copy, First pressing from 1977 on GTA label. In the very early from 70's, the group lived together in a hippie Rural Community in a farm in Ouro Fino (MG). The group had your origins in searching new values and going against the establishment values. Breathing freedom for the new life in community as in musical improvisations and explorations. Unfortunately this album passed unperceived from the great public, becoming a rarity and very obscure. Featuring: Lee (Keyboards), Fernando Motta (Electric Guitar, Acoustic Guitar and 12-Strings acoustic Guitar), Fernando Pacheco (Electric Guitar and 12-Strings Acoustic Guitar), GHY (Electric Bass), Milton (Drums and Percussion), Moa (Flute), Luiz (Violin) and others. Now, you have an opportunity to purchase this really rare and beautiful copy and wonderful item in this rare condition. 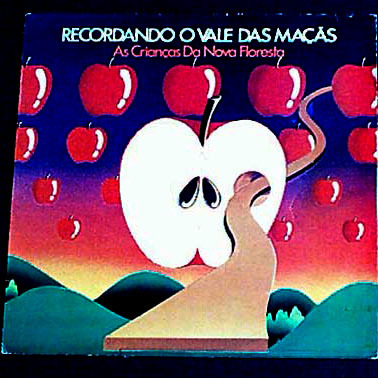 It's a true gem from the Brazilian Hippie & Psychedelic Music!